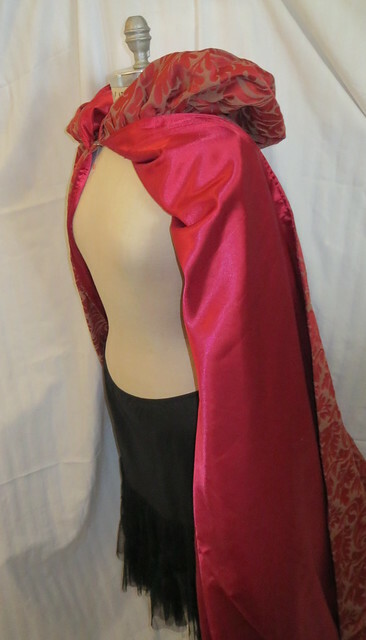 Because my brain is tired from sewing so much I decided I would go to an easy sewing project capes. There are about 5 capes in the play Aunt March has 2, Marmei 1, and Jo 2 can't think of others at the moment. So I think that is all of them I have to make. Which is not to say I have made all of them yet. I have made 3 have the fourth one cut out and still figuring out the 5th one what I want to do for it.... Oh yeah! just remembered 1 more, funny I already made it and I forgot that Meg has one too when she is a witch. This first one above is Jo's to wear during a winter scene. 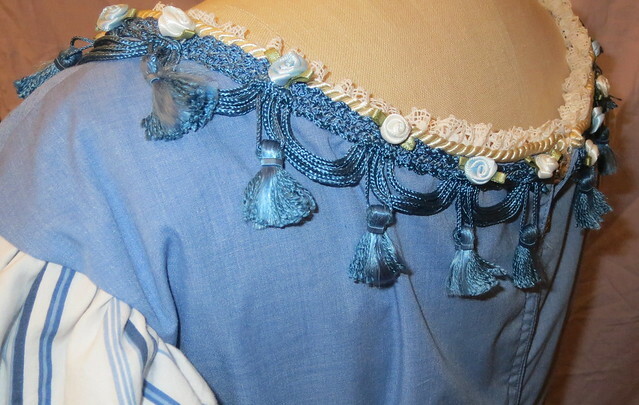 The only embellishments I used was cording at the hem for strength in wear and pretty metal hook and eye closures. 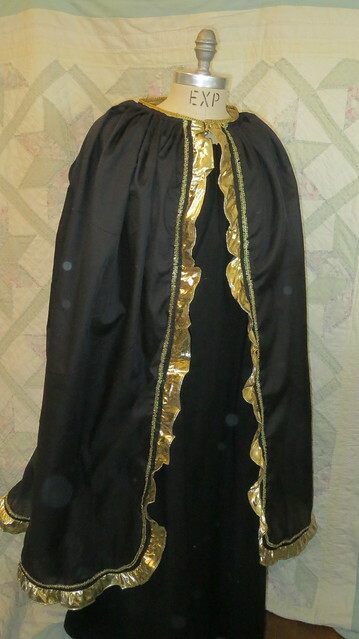 I figured the fabric itself was enough, especially with a shinny satin lining. 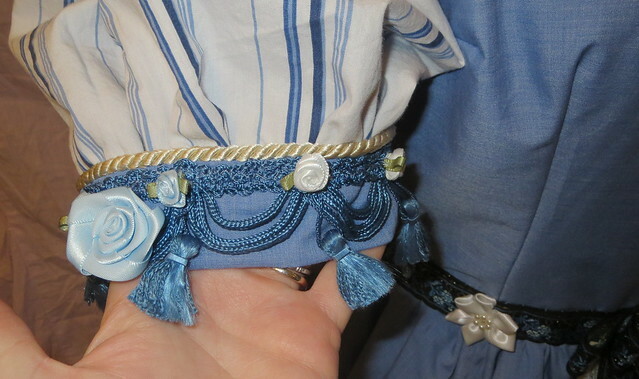 Both of these fabrics and the cording are the same ones I used on my daughters Shakespearean Halloween outfit this last October. Yes these are scrapes and yes I still have more of both to make other items in the future. 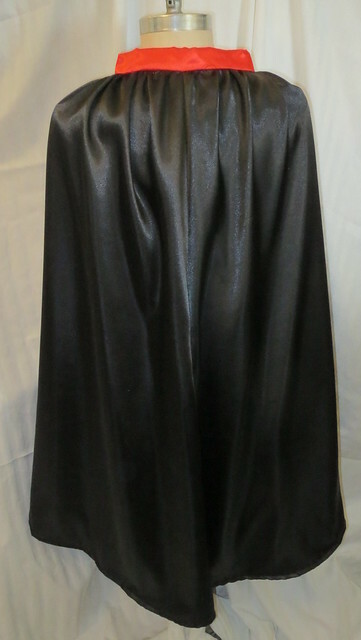 This cape is reversible if I want it to be just not sure who would want shinny satin on the outside of a cape like this. She also has a hood on her cape the only one in the play to have a hood. Jo sort of has a theme color of red in the beginning of the play to show she is strong and powerful and more dominate in personality than most females of the era as the play goes on her colors become more subdued as she learns life has trials and love. But her clothes still lean towards the masculine side of fashion because she is still a woman doing a mans career in a day and age when women did not. This second one is also Jo's in the play when she is acting as Rodrigo in the play within the play. 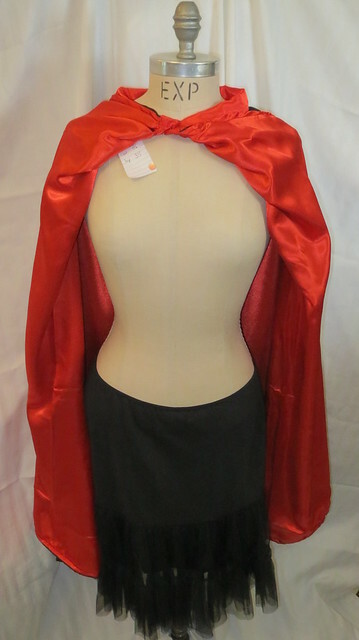 The character is supposed to be over the top with a shinny cape that is lined bright screaming red. 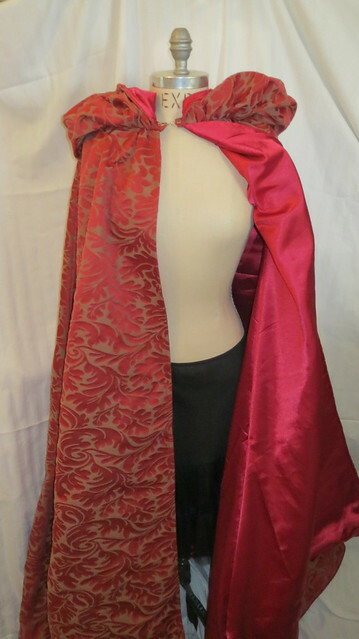 I have images of Dracula and phantom of the opera and other old sci-fis going through my head with this one.So this was born the button closure is antique Jet and is period to the play. 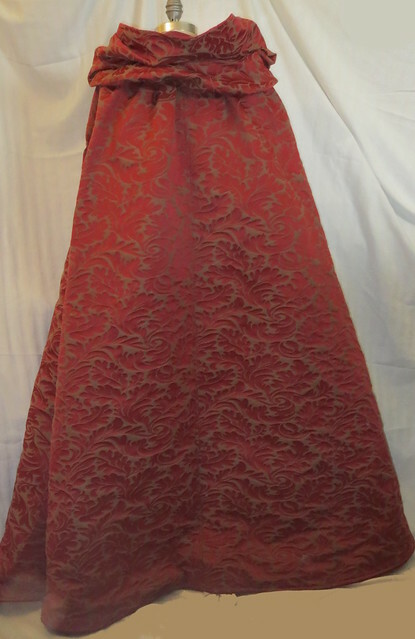 The red satin came from a set of new sheets still in the package I found thrift shopping around valentine's day. Which I bough specifically for this purpose $2.00 how could it go wrong. 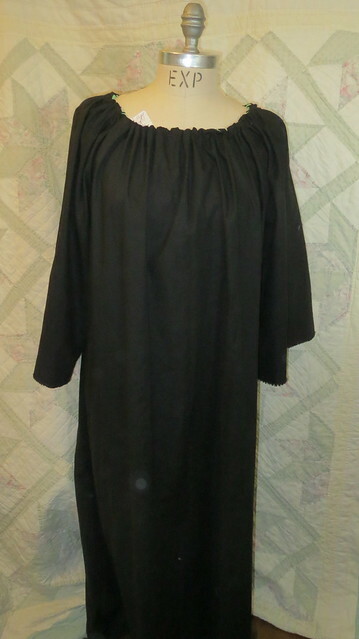 The black satin is new for the play but bought with a coupon to make it 40 % off. 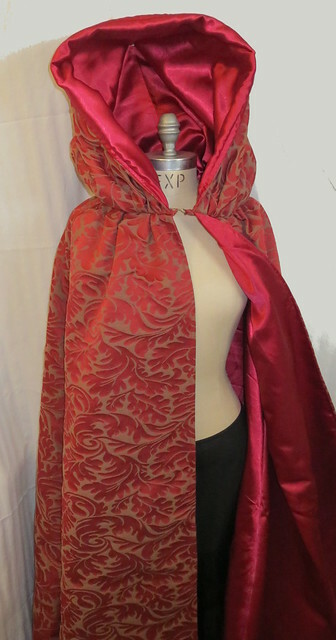 The last cape for the day is Marmei's for when she come in at the beginning of the play from the cold winter outside. This is during the war so dark colors and a somber look. 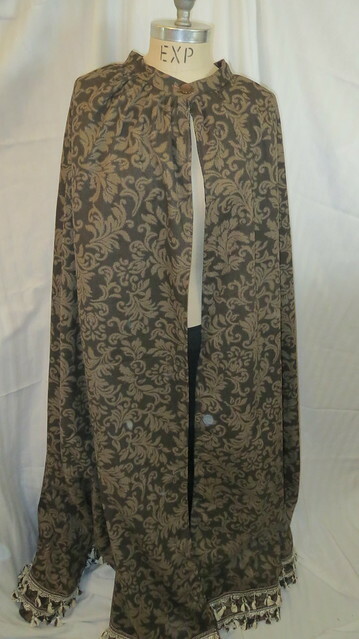 Only trim is fringe around the hem a simple brown button and no hood and simple black lining same used in the other cape above as the outside fabric. 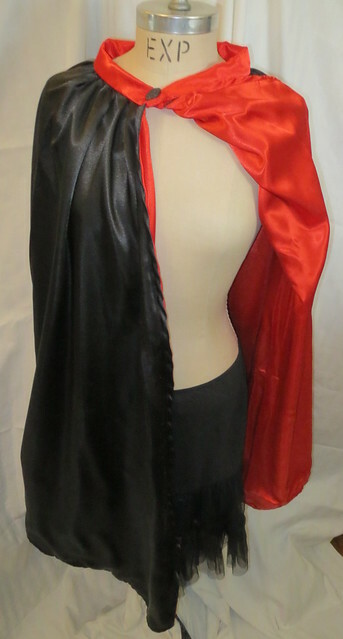 All three capes are reversible. On a note from my husband. 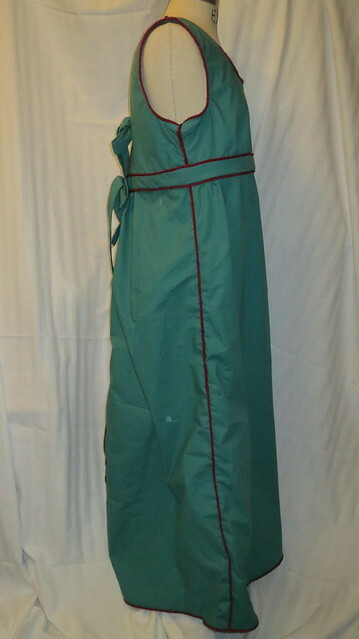 This is the last apron for the character Hanna. She still needs two dresses made for her. 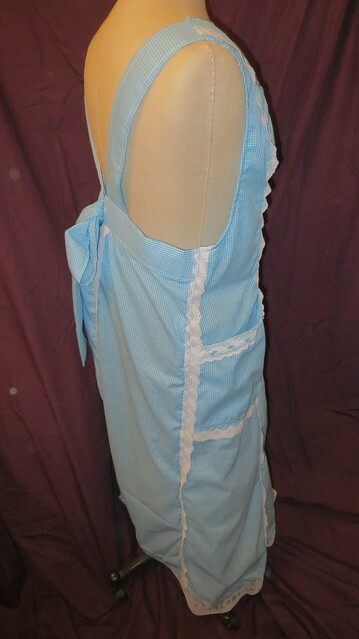 This apron was sort of a pain to make I think I have not had enough good sleep lately becasue of all the sewing. I tore out at least 10 different seams at least 3 to 5 times each. It was truly a simple pattern I just could not think straight while sewing. 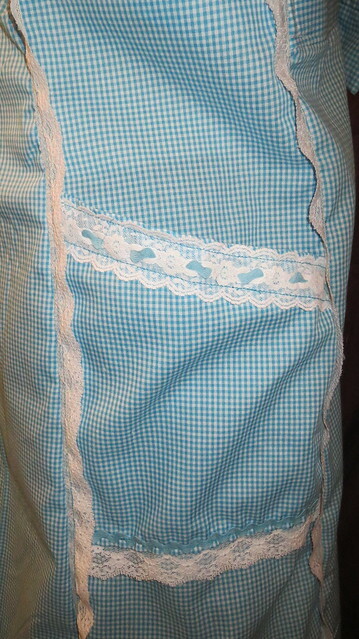 Once again I used a sheet I found thrift shopping to make the apron. 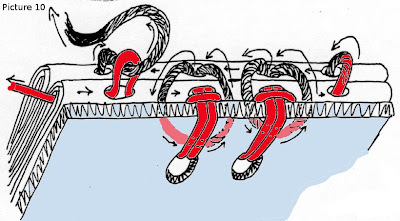 The red lines are upholstery cording. 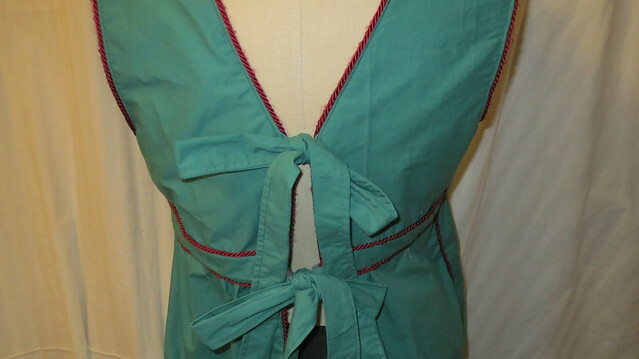 I like the two tie closure for the back it is a little different than most aprons. 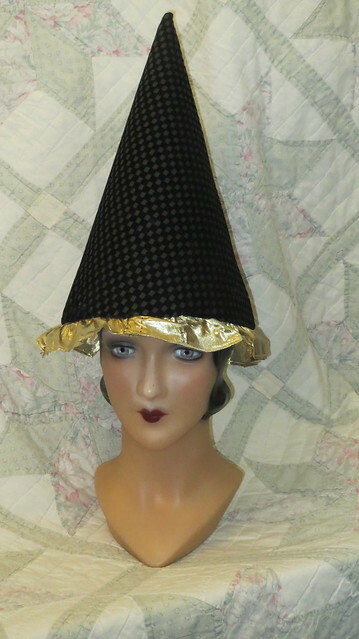 The original pattern did not have cording or anything in the seams but it was too plain for me. So I added the cord but still think it has a simpleness to it that I like. In the play to show time passing there is a dress that both the characters Meg and Amy wear. 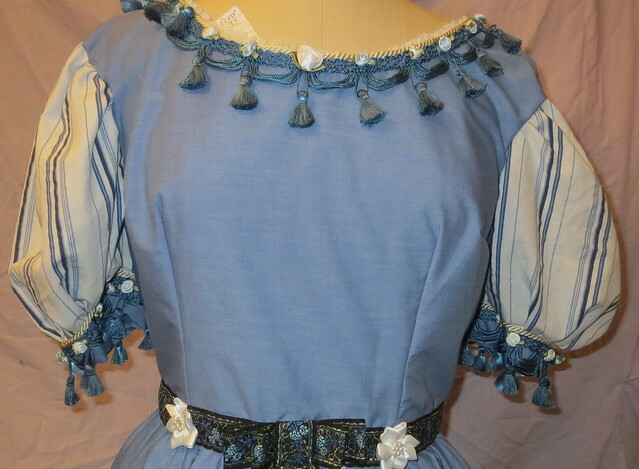 Meg's dress has long sleeves and a high collar and a different belt I showed a little bit of it a few days ago with Mr. Laurence's scarf I will try and post the finished dress tomorrow. 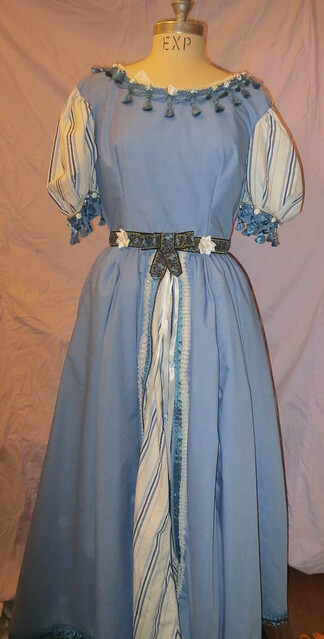 But Amy has her own style so when she gets the hand-me down she remakes the dress into this. 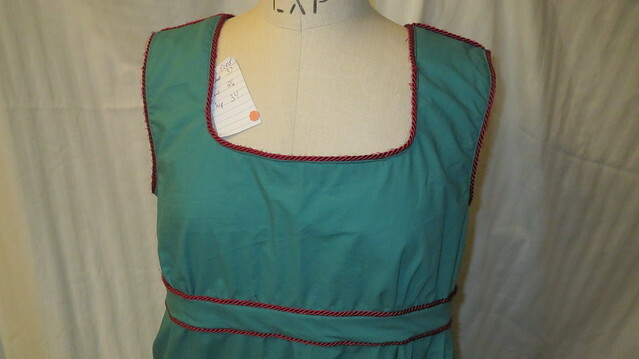 A short sleeved fancy belted lower neckline dress. The dress does have a little too wide of a neckline so I am going to go back and rework that area by adding prairie points. Will make a post about that when it is redone. 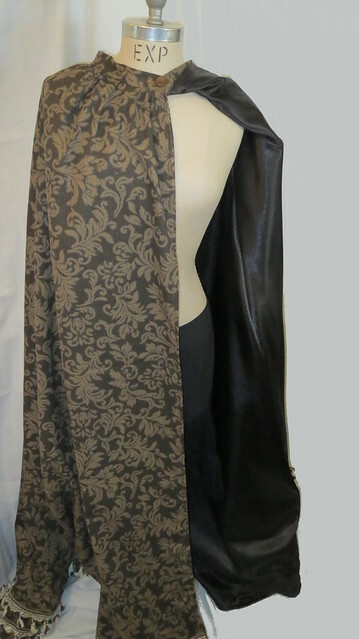 Which should make the area around the neck less wide by a few inches and more comfortable for the actress. 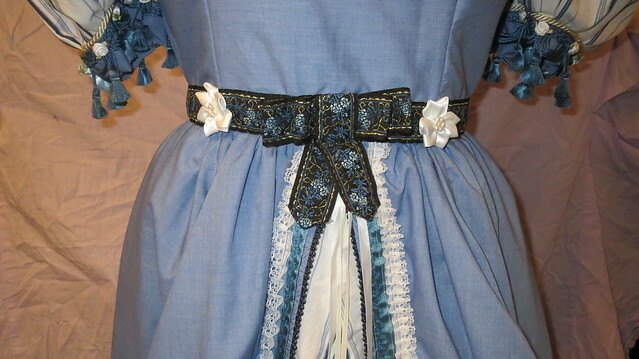 Some detail points of the dress I have used lots of different trims in the hopes of it looking like the March's like to embellish their clothes but because of finances do not have the money to buy trims so they are using up little bits of this and that to make their dresses pretty. 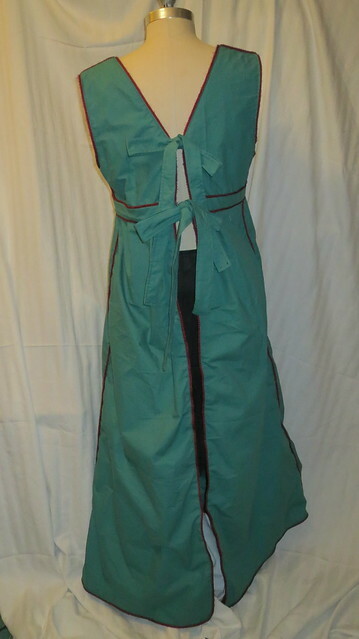 If you look in the picture just above you will see 7 trims just between the sleeves and waist and there are about 7 more on the dress. So I got my little bits of this and that and used up a lot of scrapes that are not big enough to make any one project but all grouped together work just fine. I also could not find a striped fabric I liked well in my stash or at the store so yes I reverted to a bed sheet again for the striped fabric. I think it came out well. Since the character Amy is all about things fine and such I gave her hints of lace around the neck area. I also used lots of upholstery trims again. 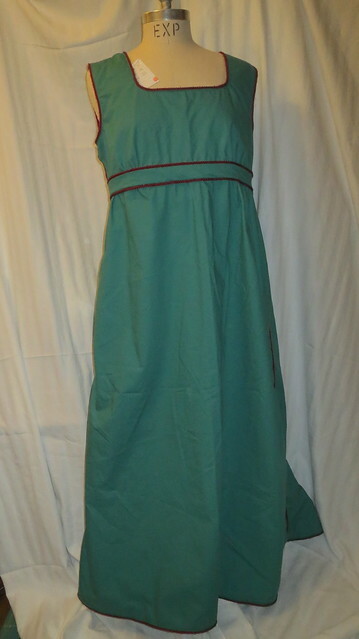 Around the neck, sleeves and hem of the dress ( hard to see in these photos sorry). Very grateful for my friend who gave me 8 totes of upholstery trim at the beginning of the school year perfect timeing for this project. 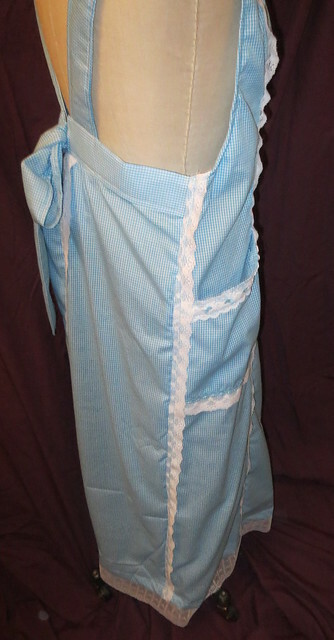 I forgot to take a Epictetus of the petticoat with this dress it has wide blue lace on it and antique blue and white striped rick rack. I will try and remember when I take pictures of the new neckline when I get it done. 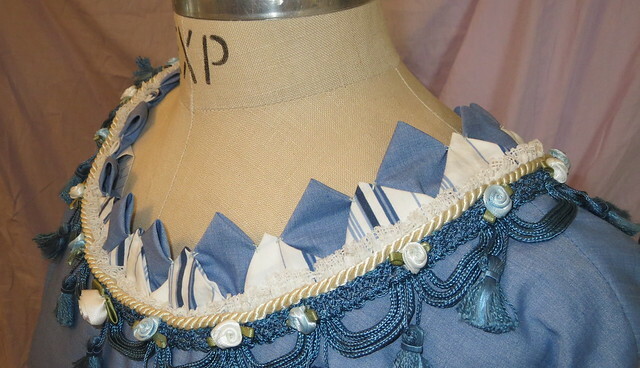 update remade neckline to not be so wide. 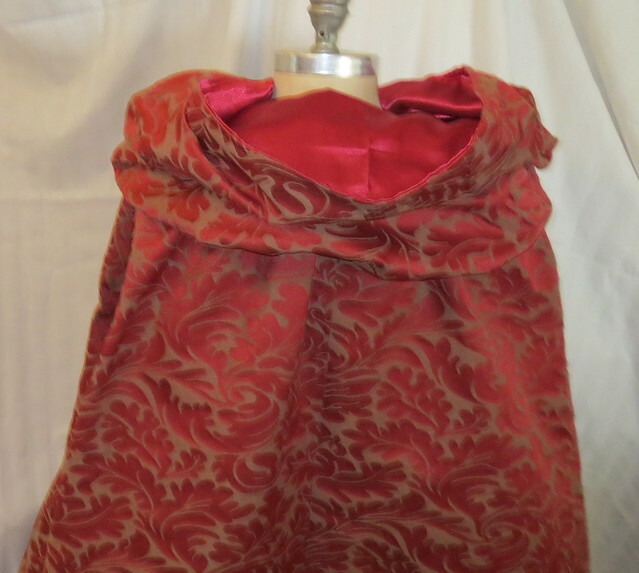 It was difficult to sew through 16 layers of fabric and trims with two trims being thick upholstery trim and one being heavily gathered lace ... 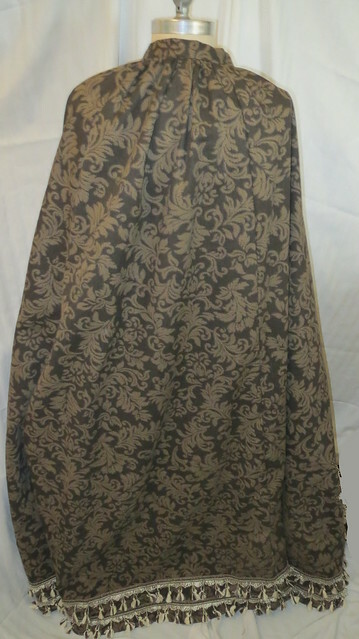 So it did not come out exactly as pictured in my head but I must go forward to other dresses and this will do for now. In case you are wondering those are called prairie points. A very long time ago i showed a sampler book I made I made this tutorial and put it in draft form and forgot it was here. Looked at all the drafts I had for my blog that I did long ago and realized this one was complete and never poster for the last 5 years. Not sure how that happened but enjoy this new but old post. Shows how the first signature is sewn to the cover. To tighten stitches use your needle to pull at the stitches. Always make sure you have enough thread to sew on covers. Never add thread when sewing on the covers, only add on the inside of a signature. 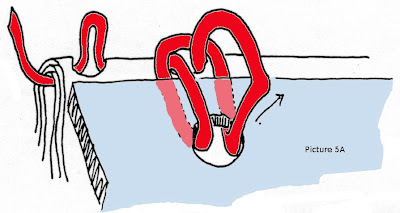 If you have been careful not to get your threads twisted, your book should look similar to picture 2. 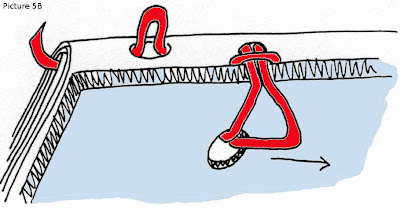 If you have been sewing right to left, instead of left to right, all of the instructions are mirror-opposite. Hold the loop from the kettle stitch hole to keep it from pulling through, and pull on the first stitch (out of the fabric hole) to snug up the slack inside of the signature. Then pull on the left side of the loop stitch so that the first stitch pulls up snug. Pull the rest of the stitches snug in the same manner. 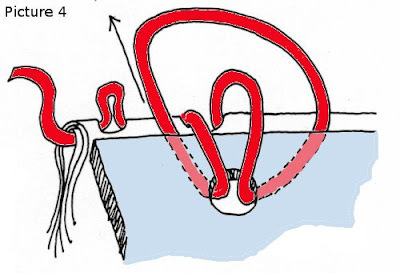 The loop from the kettle stitch should still be there. When the first gather and the cover have been sewn together, it should look like picture 7. Check between the cover and the first gather . 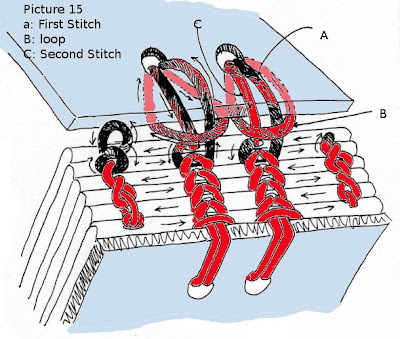 The thread should look like picture 8 and the outside should look like picture 7 with the first stitch and the second stitch lying next to each other. 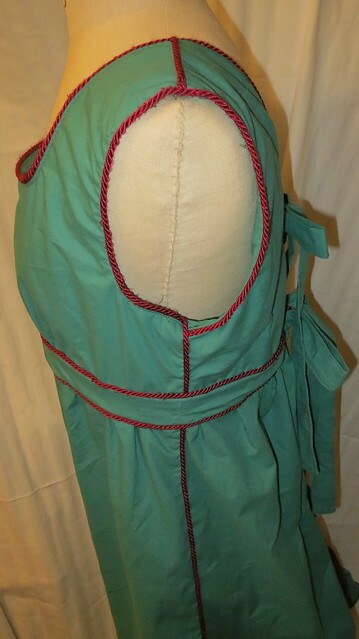 If the stitches are twisted over each other, you should undue them and re-sew. Press the thread into the fabric with the board folder after you sew on each signature. 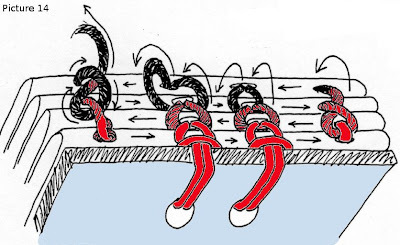 The link stitch is used to sew the signatures together. The basic pattern is shown in picture 9. 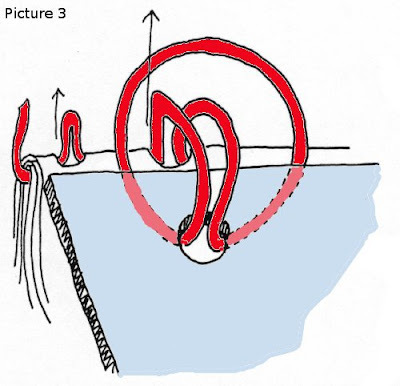 Picture 10 shows how to sew the second signature onto the first one. The link stitches go between the fist signature and the cover. 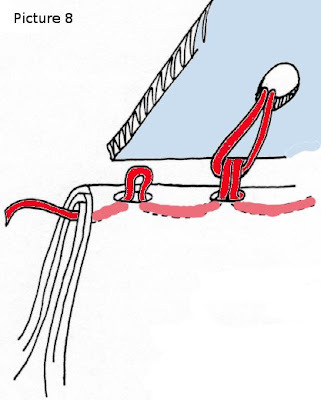 The thread comes out the kettle stitch hole of the second gather and sews through the loop in the kettle stitch hole in the first signature. 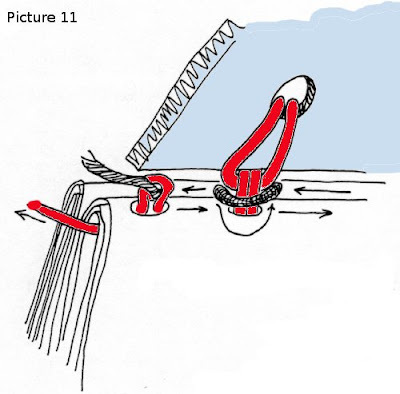 The tail end of the thread can then be pulled snug, to pull the loop snug, as shown at the left of picture 10. Check again between the cover and the first signature. 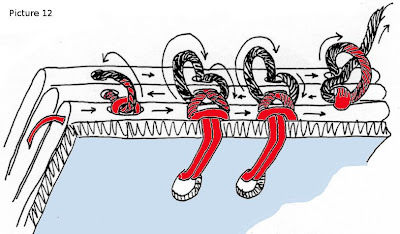 The link stitch should be only around the bottom of the first and second stitch as shown in picture 11. 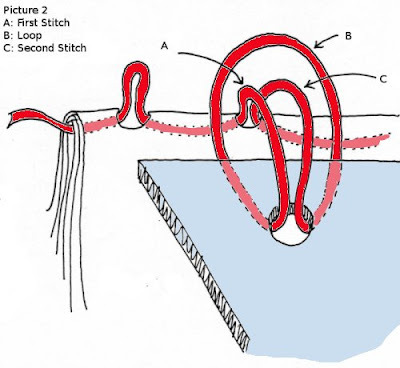 It should not be sewn through the loop stitch, or any of the threads. 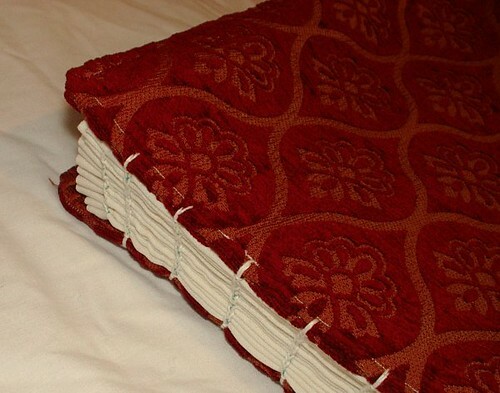 When sewing onto cover, it is a good idea to part-way open the cover as you sew the links onto it to avoid sewing through any previous cover attachment stitches. There are fewer problems sewing the rest of the link stitches. 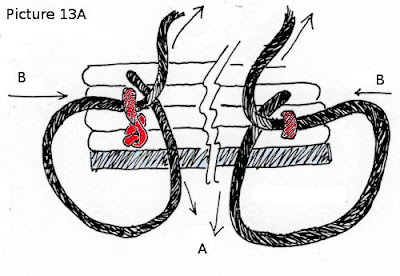 Sew on the third signature as shown in picture 12. 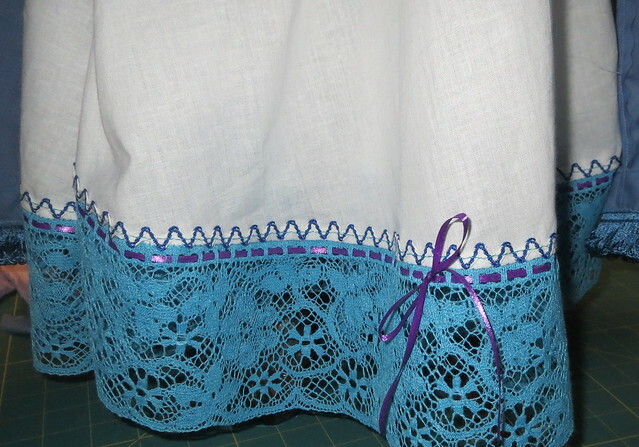 The link stitches are sewn only around the previous gather. In picture 13 A it shows the kettle stitch, sewn from either end of the book. After the third signature, a kettle stitch is sewn, and after every signature for the rest of the book. 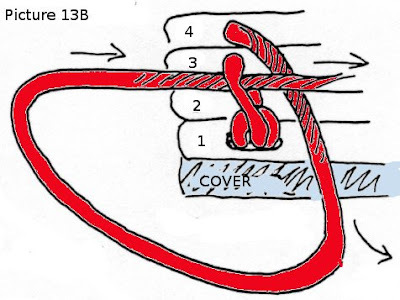 Point the needle between the two previous signatures for example, if you have just finished sewing on the third signature, your needle goes between the first signature and second signature (see right hand side of figure 13A) or, if you have gone on and finished the fourth signature, the needle goes between signature 2 and 3 as in picture 13 B. The needle always points into the book. 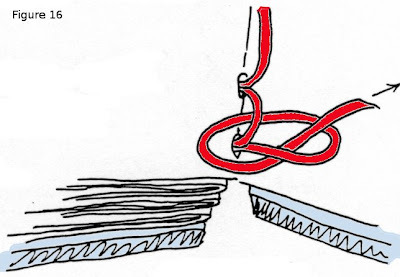 The needle goes under the previous loop joining the previous signatures and over the thread that is pulled toward the base of the book. Pull your needle straight up. Do not go back under any thread.